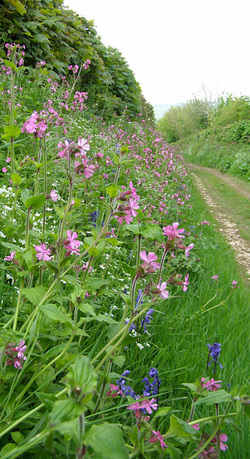 As a mainly agricultural parish, Wenvoe has many miles of hedgerow and a fair proportion of these are close to the extensive Rights of Way network and therefore accessible to walkers. Also the Vale of Glamorgan Council has a number of dedicated Highway Verge Conservation Zones (HVCZ), seven of which are monitored by the group. 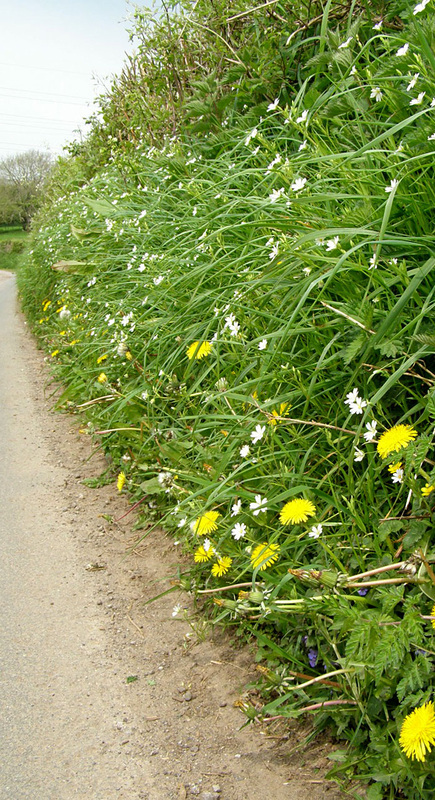 Cutting back of these botanically species-rich hedgerows takes place later than usual to allow seeds to set. 1. alongside the road from the old railway station and through to Wrinstone Farm. 2. following the road (now closed to traffic) from Greave Farm, north towards the Alps depot road.